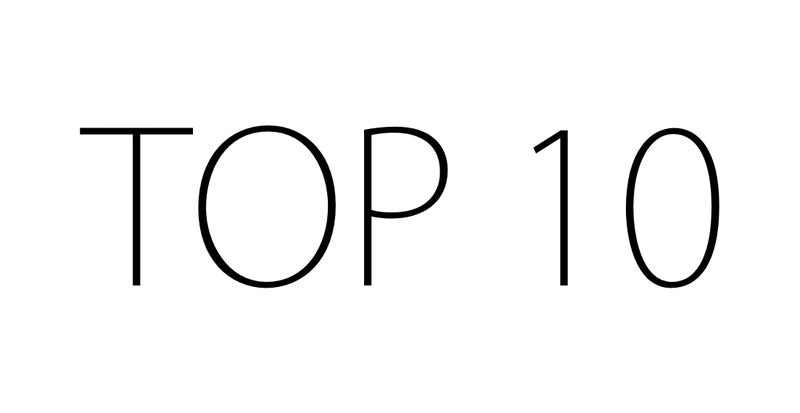 Welcome to our monthly Top 10 anime list. This month I am going to be looking at some cool and unique swords in anime. This list isn’t in any particular order I’ve just numbered it for simplicity. A powerful demon slaying sword, Kurikara is said to have had a demon fused inside of it. The sword was originally forged to fend off evil spirits, but later it ended up in the hands of Rin Okumura, the son of Satan. The sword is important to Rin as it holds back his innate demonic power. One-half of a pair of giant scissors, know as the rending scissors, the red scissor blade is Ryūko Matoi’s weapon of choice when she’s fighting to avenge her father (the scissor’s creator). The second half of the blade wound up in the hands of Nui Harime, Ryūko’s father’s murderer. The scissor blade is almost the only way possible to cut through the life fibres utilized in the Goku uniforms. Shamehada, the shark skin blade, is a very large blade composed of razor-sharp scales. Shamehada is capable of eating the chakra of any who oppose it, not only that but the sword itself is sentient, capable of contorting its body to reach an opponent even if they were to dodge. While normally being wrapped in a cloth lining, Samaehada is eventually unwound to reveal its true power as the strongest of the seven swords of the mist. Regarded as one of the strongest swords in the world of One Piece, Yoru stretches over 7 feet in length and the blade is entirely black. In the hands of Dracule Mihawk the sword has the capability of slicing Don Krieg’s flagship in half with just one slash. Mihawk is also capable of deflecting bullets with just the slightest movement. A traditional looking nodachi, Archenemy, AKA “The Sword of Resentment” is a weapon so fearsome that it is believed that just unsheathing it could cause uncontrollable destruction of a devastating proportion and thus the holder must vow never to break the seal. Kagura Mikazuchi, the sword’s wielder, is able to use Archenemy to defeat her opponents without even unsheathing it. However, she broke her vow during her fight against Erza in the Grand Wizard Games. The dragon handle appears to only by the remnants of a once full sword. While in most cases completely useless as a sword, in the hands of Meliodas the sword becomes a formidable weapon capable of deflecting any attack that comes Meliodas’ way. It is later revealed that the sword is not a sword, but in fact, a piece of the coffin of darkness. The Claymore it the standardized weapon for all Claymores (an organization of yoma hunters) and has a unique symbol engraved in it that pairs it to its wielder. The sword itself is a quite large, double-edged blade that never seems to ware or dull. Each sword also has a color assigned to its handle, this color describes how the user wields the blade. Red is possessed by offensive users, whereas green is reserved for the more defensive users. However, any claymore ranked 10 and above has a blue handle. Known as the “One Cut Killer”, Murasame is a cursed blade that will kill anyone from even the slightest cut. This is because once the blade cuts the skin, the victim is inflicted with a curse of poison, stopping their heat in a matter of seconds. However, in the hands of Akame, the sword curse in little more than a bonus. 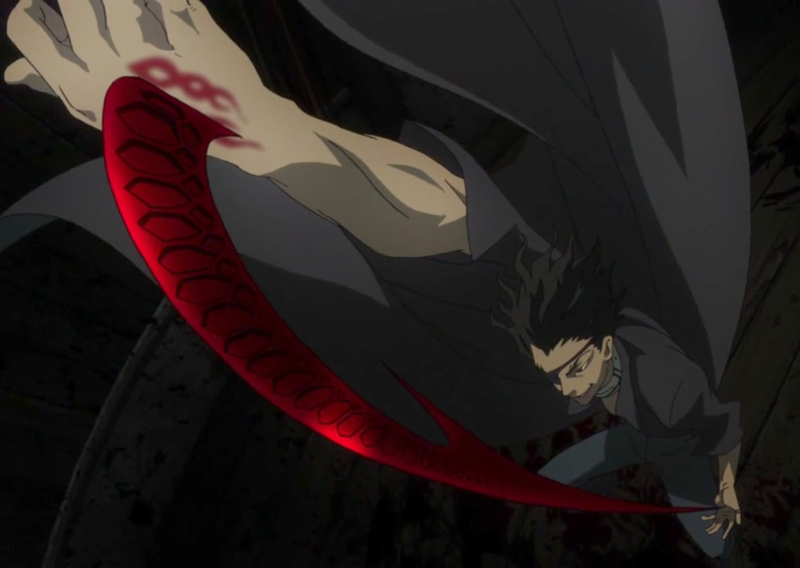 While not technically being a sword, the crow claw is the manifestation of Senji Kyyomasa’s branch of sin. Being comprised entirely of his blood, Senji is able to pull the claw out from any part of his body and shape it into any size. Senji has spent years mastering his claw and is now capable of slicing through solid steel. The Elucidator is a jet black sword that belongs to the protagonist of Sword Art Online. Along with the “Dark Repulser”, Kirito dual wields the two blades in order to create a devastating combo of quick, hard to counter, barrage of attacks. Kirito received the sword as a reward item for defeating the boss of floor 50, however, he initially did not have enough strength to wield it. Thank you for reading my list, I hope you enjoyed it. If you have an idea of something you feel should have been on the list then leave a comment and let me know.